The trend toward local sourcing of ingredients is prompting chefs in different parts of the country to revisit local dishes as well. American regional classics such as New England clam chowder, New Orleans-style jambalaya and Wisconsin fried cheese curds are showing up on menus, often with signature touches. Each of the recipes here has a good story to tell—an attribute that appeals to today’s consumers. 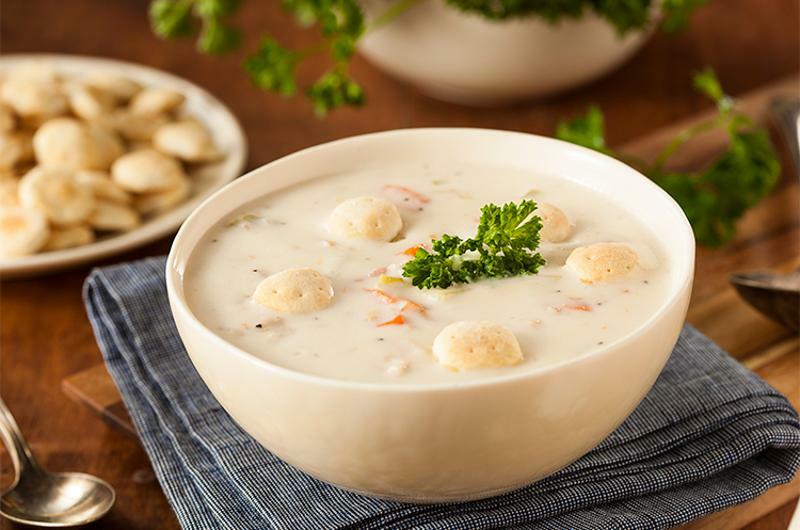 New England clam chowder’s history in Boston began even before the Parker House hotel opened its doors in 1855. Chef Tice relays the story of Cape Cod author Joseph C. Lincoln, who once said the soup “is as American as the Stars and Stripes, as patriotic as the National Anthem. It is Yankee Doodle in a kettle.” Unlike clam chowders prepared in Manhattan or Rhode Island, which are tomato-or clam broth-based, respectively, Boston prepares its chowder with cream. At the Omni Parker House, 40-60 gallons of New England clam chowder are made each week, always accompanied with oyster crackers and offered in each of the property’s dining outlets year-round. Fresh cheese curds have a slightly rubbery texture and squeak when you bite into them. In order to enjoy the signature squeak, they should be eaten within one or two days of production. For that reason, curds have become a specialty in states like Wisconsin where dairy farming and cheese making take place. 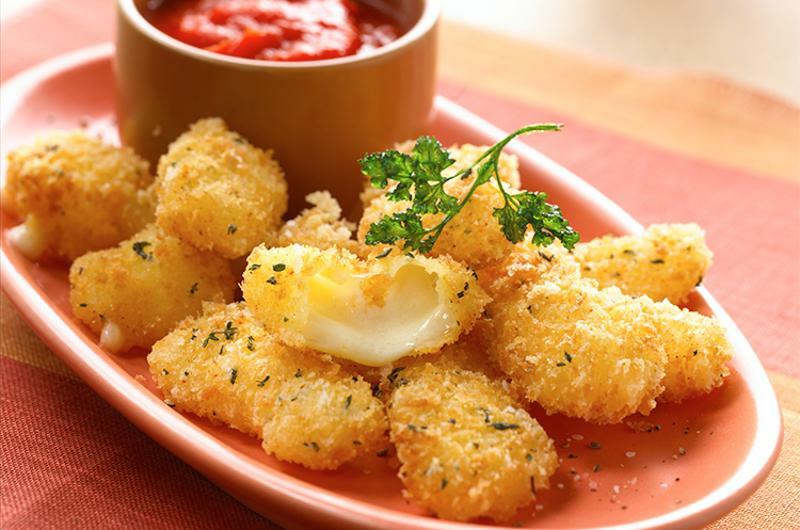 Chef Armstrong extends the curds’ longevity by deep-frying them for a cheesy appetizer that can be served as far away as his Los Angeles restaurant. Jambalaya has roots in New Orleans, where Spanish settlers used indigenous ingredients to create a new-world version of paella. At multiunit concept Breakfast Republic, owner Johan Engman borrows from several cuisines to come up with unique menu items. 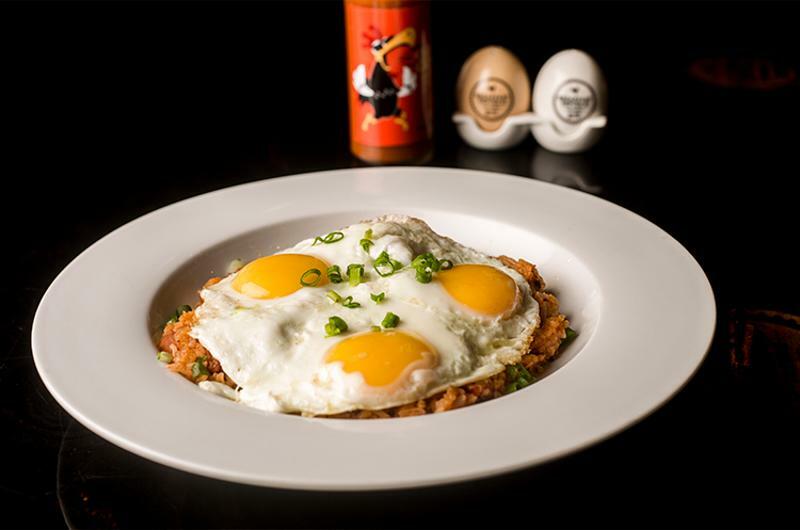 Here, jambalaya gets a breakfast twist with the addition of eggs to the original rice, seafood and andouille sausage dish. Housemade jambalaya sauce ties the ingredients together. The technique of cooking salmon on wooden planks naturally evolved in the Pacific Northwest, where both fish and forests are abundant. 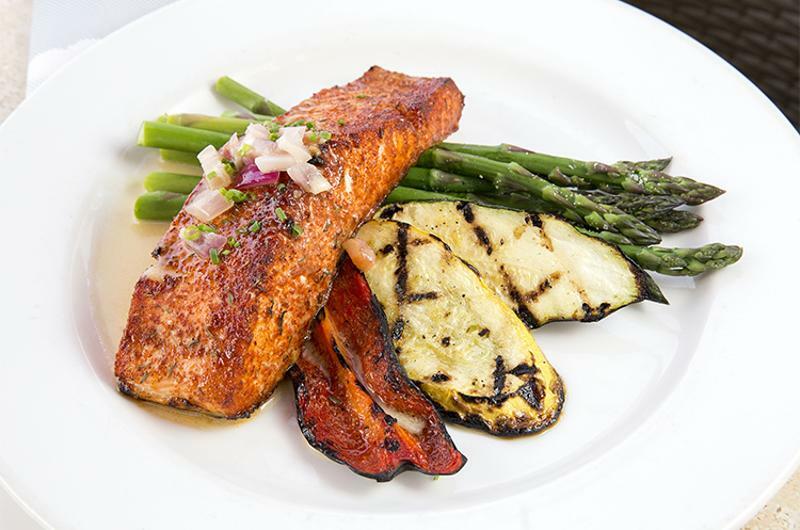 At Elliott’s Oyster House, the kitchen uses alder wood planks to infuse wild salmon with a fragrant smokiness. The restaurant purchases alder planks from a lumber store and cuts them to fit its ovens. 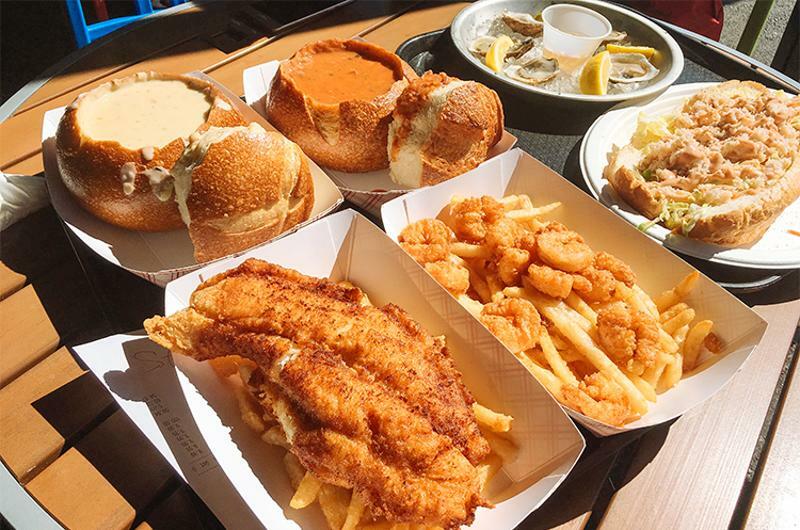 With its location on the Eastern coast, Charleston’s low-country style of cooking includes a lot of seafood-centered dishes. At Blossom restaurant, crab cakes are a menu staple. Chef Close lightens them up with whipped egg whites, then gives the mixture a spicy kick by blending in Creole mustard and hot pepper sauce. 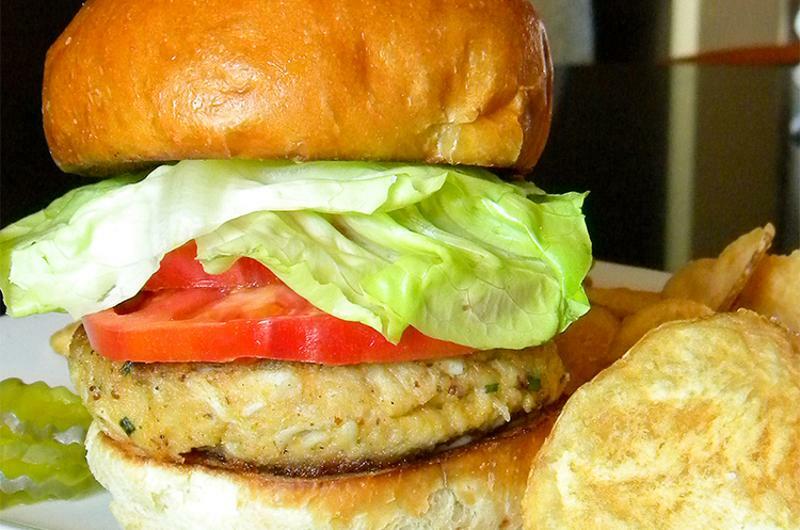 The crab cakes, also served as an appetizer, are layered here on potato rolls for a more casual sandwich presentation.